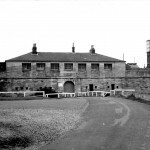 Fort Monckton was constructed in the 1780s on the site of a former fort known as ‘The Fort at Gilkicker’. This site was formerly occupied by the castle of Hasilworth (Hasleworth), which was dismantled during the reign of Mary Tudor. Much controversy surrounded its design and construction and it eventually changed its name to the present ‘Fort Monckton’, named after the Governor of Portsmouth Lt. General Robert Monckton who had ordered a Colonel Archer to build it. The fort in its original form was practically completed during 1789-90, just prior to the French Revolutionary War of 1793. It was built mainly with civilian labour. The new fort consisted of a bastioned trace with three bastions facing landward and two towards the sea. 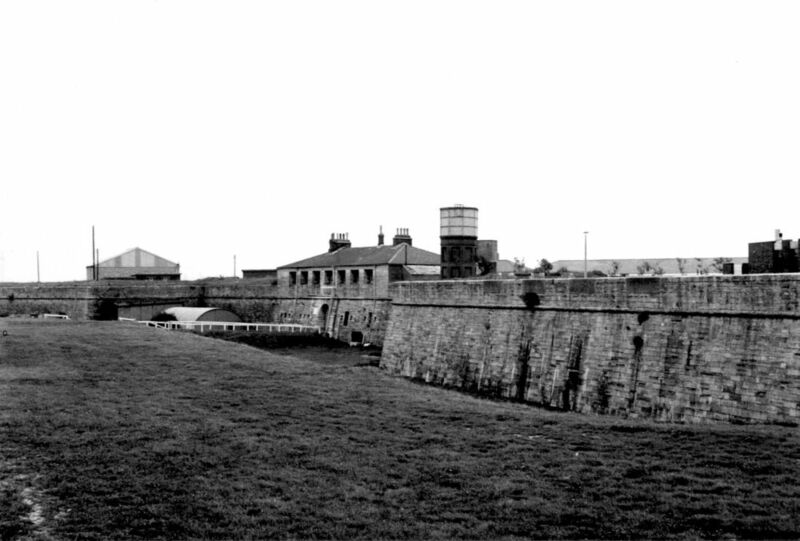 The curtain between the two sea bastions contained the barrack quarters with 22 gun casemates on the lower floor and barrack rooms on the upper floor. This sea front was faced with Purbeck stone presenting an impressive sight from the sea. 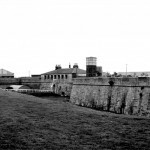 The sea bastions had a parapet pierced with embrasures for guns. The road to the fort passed through an advanced redoubt (or redan) which protected the chicane that then lead on over the bridge spanning the ditch and through the entrance tunnel in the north curtain wall. In the centre of the north curtain was the gatehouse through which the entrance tunnel gave access to the parade. The upper floor consisted of accommodation casemates. Beyond the dry ditch the fort had an outer protection consisting of a wide water filled moat on the western side, with a narrower ditch on the northern side passing between the outer entrance redoubt and the inner bastions and curtain wall. This water feature was originally the natural lake formed at the mouth of the river Alver with a direct connection to the sea. When constructed in 1860 the Stokes Bay Moat flowed into this ‘Lake’ at Gilkicker and exited via a sluice in the southern end, to the sea. Parts of this lake were filled in the 1970s, including one section which now bisects it with a causeway for golfers at the point where the Stokes Bay moat originally entered. The ditch to the north has now been completely filled. As constructed the fort was to accommodate fourteen officers, two staff sergeants and two hundred and ninety eight rank and file. 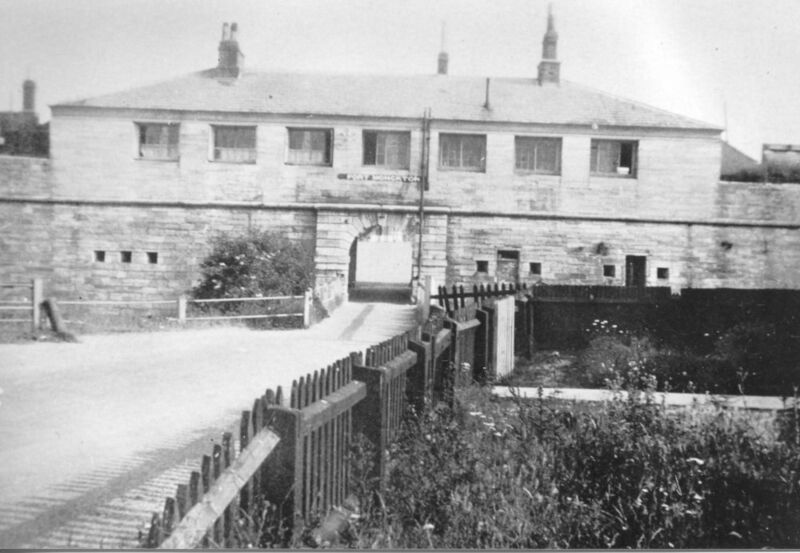 In the early 1800s Fort Monckton was the Headquarters of the Royal Marine Artillery. When the 1860 Royal Commission was set up Fort Monckton was considered to be well out of date. It was given a minor defensive role in the great scheme for fortifying Portsmouth Harbour. In 1866 a detachment of the 29th Company Royal Engineers were quartered in Fort Monckton, together with a detachment of the 12th Brigade Royal Artillery. 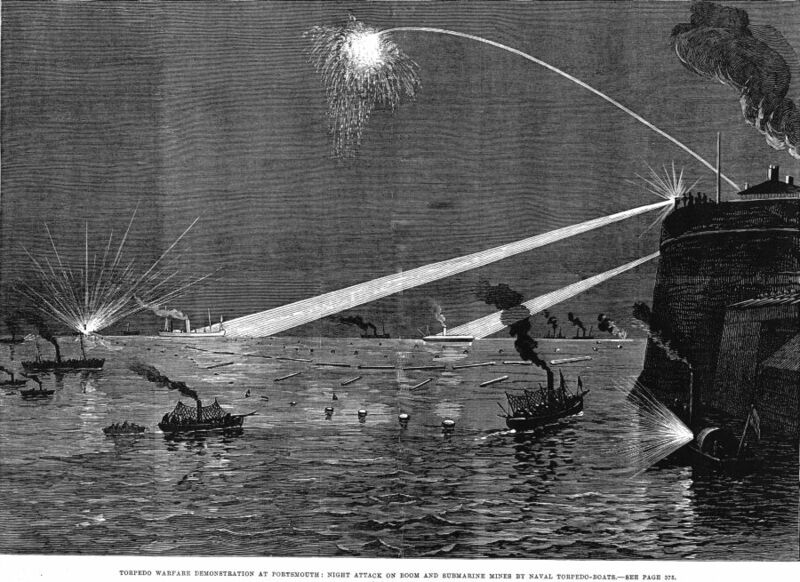 In 1872 and armament return gave the mounted armement as: 2 x 7-inch R.B.L. 2 x 8-inch S.B. 9 x 32pr. 2 x 24pr. 6 x 18pr. and 7 x 12 pr. In 1878 the Royal Engineers moved into Fort Monckton to use it as a barracks whilst they trained in the use of submarine mines, and later searchlights. In 1880 Fort Monckton was the headquarters of the 4th (Submarine Mining) Company Royal Engineers. 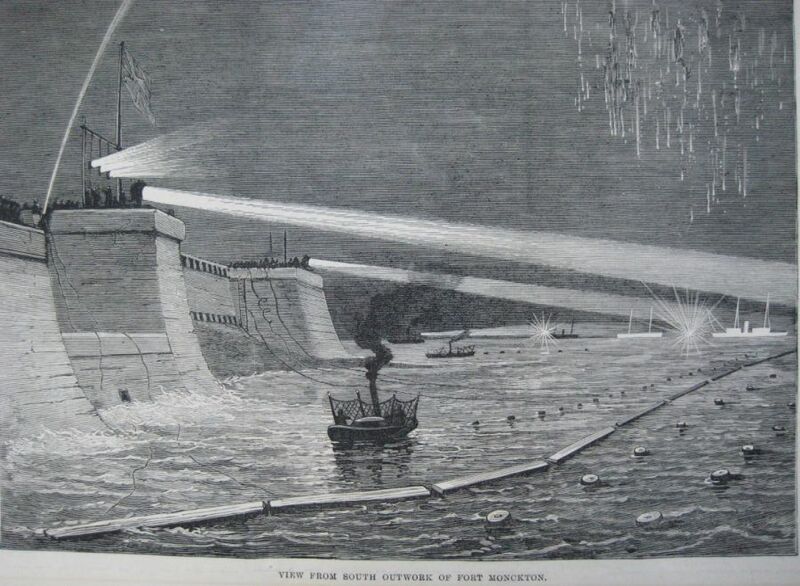 During this period the fort was the centre of many experiments in defensive warfare using submarine mines. 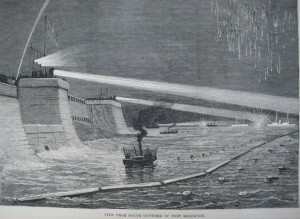 In 1893 the armament of the fort was reduced to 6 x 64pr. R.M.L. 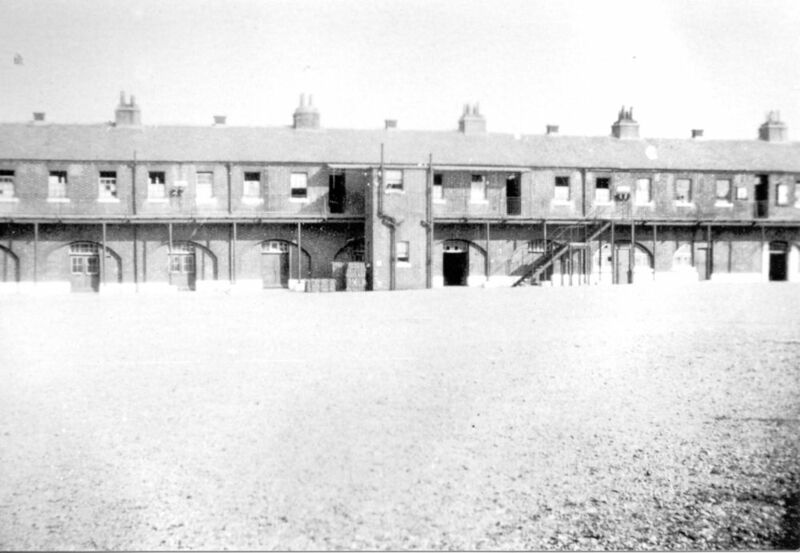 The Portsmouth Division Submarine Miners (Militia) Royal Engineers were trained at Monckton for two months each year in May and June. In 1893 the Royal Marine Artillery also had a detachment of submarine miners at Monckton. 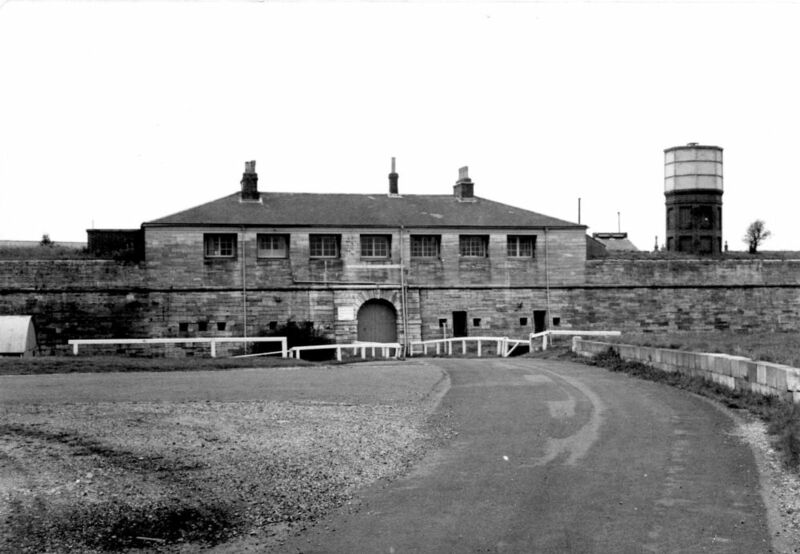 In 1911 Fort Monckton and Fort Gilkicker were occupied by No 42 Company Royal Engineers. In 1924 the Royal Engineer occupying unit at Fort Monckton was the 22nd Fortress Company. During World War One it was used to mount Anti-Aircraft searchlights and in World War Two it held an Anti-Aircraft artillery unit. 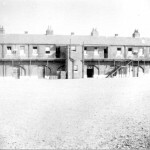 During World War Two the Gun Operations Room for Gosport A.A. defence was in Fort Monckton with the Master Gun Operations Room (Sector Control) for the entire Solent Sector in Fort Fareham. One armament return states that from 1939 to 1956 a twin six pounder was mounted in Fort Monckton for coast defence. 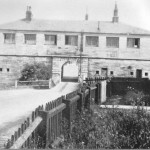 Fort Monckton: casemates in the 1920s. The water defences to Fort Monckton, known locally as Gilkicker Lake, is a Site of Special Scientific Interest, due to its fresh/salt water environment. It has been partially filled by the local golf club, which now has a club centre just outside the fort.Almost the whole of the original fort still exists but it is a present occupied by the Military and no access to it is possible. Very few photographs exist of the inside of Fort Monckton except for a series taken for an article by Gosport Historian Godfrey Williams. A tiny glimpse of the fort can be made from a distance across the golf course at Gilkicker but any closer viewing is likely to cause a reaction from the authorities within. It has the honour of being the only fort of the Portsmouth defences still in Military (as opposed to Naval) hands. Rumours abound locally that the fort is used for the intelligence services, but this is only one small aspect of its modern use. A view of Fort Monckton from the sea. The only view you are ever likely to see.